Doesn’t Marvin look great in Queen Mother’s hat? There’s rarely a dull moment in Story Circle! 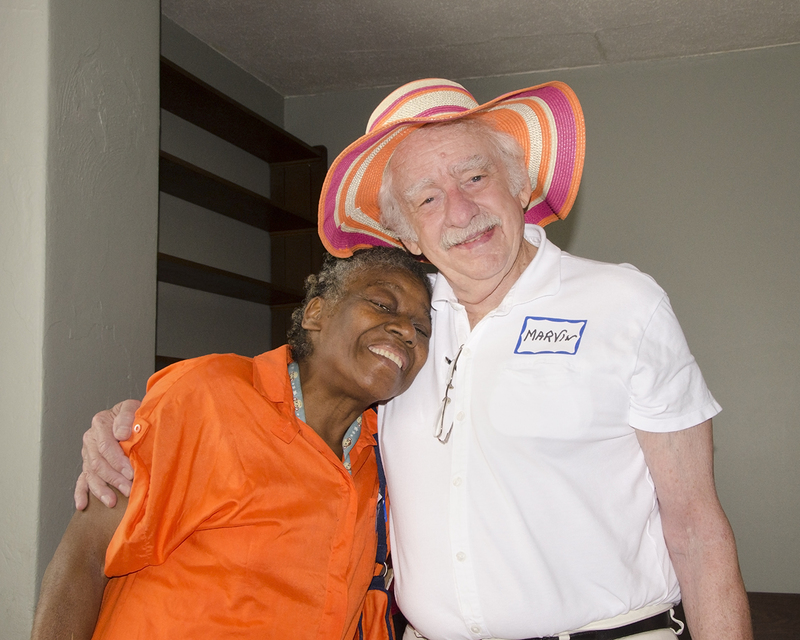 Both Maggiebel (aka Queen Mother), and Marvin are delightful friends who lend spice, wisdom, and wit to our gatherings on Wednesdays. Join us in Room 4 at 9:00 a.m. each week and see for yourself. We think you will be glad you did!